George W. Bush served as president of the United States during eight of the most consequential years in American history. The decisions that reached his desk impacted people around the world and defined the times in which we live. 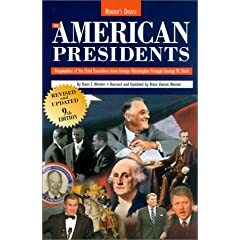 In this fascinating book of presidential profiles, you will meet the 42 men who have shaped the Presidency-and the course of our country. 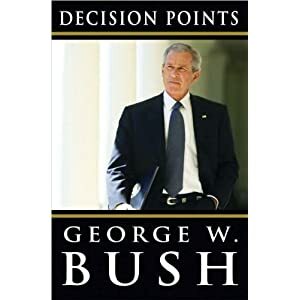 From George Washington to George W. Bush, here are the stories of their trials and triumphs, their ambitions and achievements. 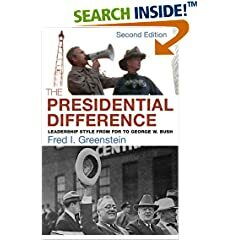 Princeton University's Fred I. Greenstein caps off an illustrious career as a presidential scholar with The Presidential Difference. This book won't fundamentally change the way anybody looks at the last 11 chief executives--Greenstein's earlier work The Hidden-Hand Presidency revolutionized the academy's view of Eisenhower--but it does provide a worthwhile series of minibiographies and analytical summations. Greenstein rates his subjects in several categories: communication, organization, political skill, vision, cognitive style, and emotional intelligence. An exhaustive, soul-searching memoir, Bill Clinton's My Life is a refreshingly candid look at the former president as a son, brother, teacher, father, husband, and public figure. 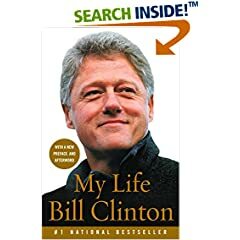 Clinton painstakingly outlines the history behind his greatest successes and failures, including his dedication to educational and economic reform, his war against a "vast right-wing operation" determined to destroy him, and the "morally indefensible" acts for which he was nearly impeached. 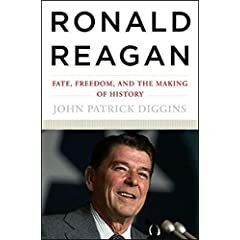 From Booklist... Because Reagan has been misinterpreted by both the Right and the Left, his legacy in American political history has been distorted and undervalued, according to Diggins, author of The Rise and Fall of the American Left (1992). Contrary to liberal opinions, Reagan was no philosophical lightweight, nor was he the moral absolutist lauded by conservatives. He was a man of consistent beliefs, forged during the cold war. In his efforts to end the cold war, he was closer to liberals who always thought it possible than to conservatives who didn't believe it could ever be done. Reagan was "the only president in American history to have resolved a sustained, deadly international confrontation without going to war," defying liberal expectations of him personally and conservative expectations of the value of diplomacy. 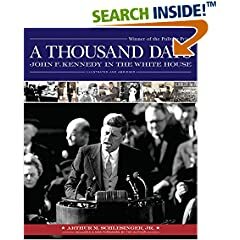 Written by one of our foremost historians and published in 1965, A Thousand Days is still considered the most complete and definitive portrait of John F. Kennedy and his administration. Handpicked by Kennedy to serve as special assistant to the president, historian and Harvard professor Arthur M. Schlesinger, Jr. witnessed firsthand the politics and personalities that influenced some of the most important and dramatic events in modern history. The hundreds of photographs and documents included here have been gleaned from such sources as the John F. Kennedy Library, the Library of Congress, the Associated Press, Life magazine, and more. The photos capture private meetings with the president, the Bay of Pigs, the Civil Rights movement, and the Cuban Missile Crisis, as well as official White House memoranda, public speeches, social occasions, and private moments with the Kennedy family. These powerful images add a new dimension to the award-winning text and introduce a new generation to some of the most important and visually iconic moments in our recent past. In this admiring and enormously readable revision/condensation of his acclaimed two-volume biography, published in 1983 and 1984, Ambrose reminds us that this "great and good man" was the most successful general of the greatest war ever fought and the only president of this century to preside over eight years of peace and prosperity. 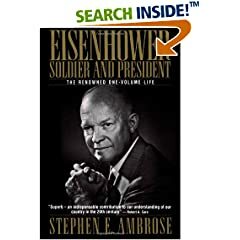 Tracing Eisenhower's family background, education, military and political careers, and influence as elder statesman, the author chronicles Eisenhower's triumphs and failures and at the same time provides a vivid picture of the off-duty Ike. As Allied Supreme Commander, he is revealed once again as a coalition leader of extraordinary ability (and "an intensely alive human being who enjoyed his job immensely"). As our 34th president, he was a statesman who guided the free world through one of the most dangerous decades of the Cold War. Ambrose argues that Eisenhower has much to say to us today on such fundamental issues as national defense, arms expenditures, the importance of a balanced budget and the desirability of a United States of Europe with an all-European army. This is the definitive one-volume biography of Eisenhower. This warm biography of Harry Truman is both an historical evaluation of his presidency and a paean to the man's rock-solid American values. Truman was a compromise candidate for vice president, almost an accidental president after Roosevelt's death 12 weeks into his fourth term. 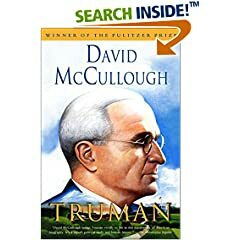 Truman's stunning come-from-behind victory in the 1948 election showed how his personal qualities of integrity and straightforwardness were appreciated by ordinary Americans, perhaps, as McCullough notes, because he was one himself. His presidency was dominated by enormously controversial issues: he dropped the atomic bomb on Japan, established anti-Communism as the bedrock of American foreign policy, and sent U.S. troops into the Korean War. In this winner of the 1993 Pulitzer Prize, McCullough argues that history has validated most of Truman's war-time and Cold War decisions.